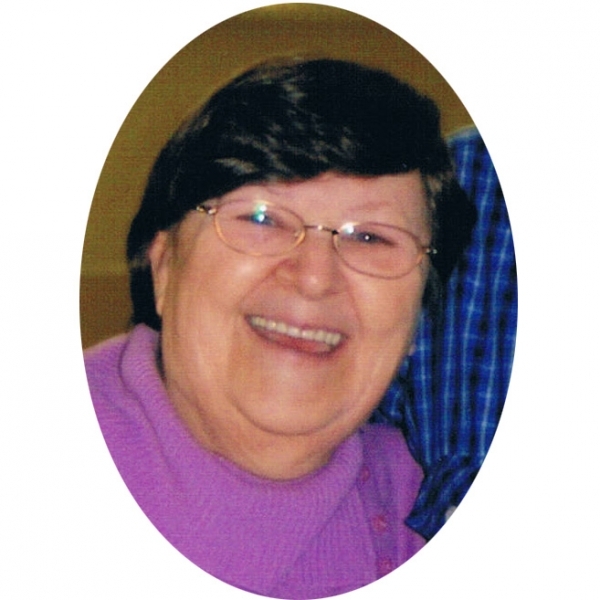 Peggy Joan Duff, 67, of Salisbury passed away Wednesday, March 10, 2010 at home following a sudden illness. Born in Moncton she was a daughter of the late Wellington Sr. and Hazel (Cole) Steeves. A homemaker, Peggy was a member of the Nixon Baptist Church and attended the Salisbury Baptist Church. She was a former member of TOPS and enjoyed her grandchildren, family gatherings, singing silly songs and sharing a cup of tea with friends. Survived and sadly missed by her children Ted (Tanya), Vanessa MacDonald (Robert), Patricia Mann (David), Bruce (Vandra), Gail Duff, Cindy Duff (Dave Colpitts); 17 grandchildren, 17 great grandchildren; sisters Annie Price, Marion Steeves, Jessie Earl (Jim); brother Tom Steeves (Jean) and by several nieces, nephews and cousins. Predeceased by her husband Eric; grandchildren Marsha MacDonald, Brett Douthwright and Sheldon Mann; sister Dora Hunter; brothers Lester, Bliss and Wellington Steeves.